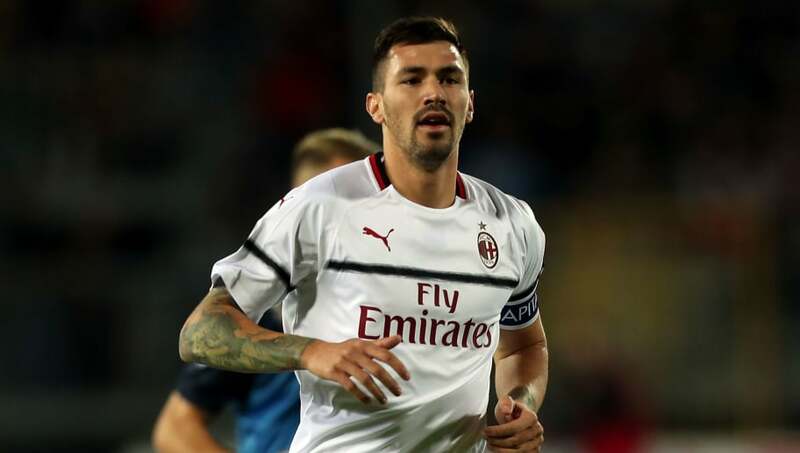 Chelsea sent scouts to watch AC Milan defender Alessio Romagnoli in the Milan derby at San Siro this weekend, as the club look to provide Maurizio Sarri with new faces at the back. Gary Cahill looks likely to leave the club at the end of his current contract, while David Luiz will be 32 at the end of the season and Andreas Christensen has been slightly underwhelming since his return from Borussia Monchengladbach in 2017. ​CalcioMercato report that the Blues sent scouts to watch the 23-year-old in Sunday night's dramatic Milan derby, settled by a late strike from ​Inter's ​Mauro Icardi as Romagnoli found himself on the wrong side of the match. ​Chelsea approached ​Milan over a possible move for Romagnoli two years ago, with the Serie A club putting out a statement thanking the Blues for their 'very lucrative' offer – reported at the time to be around £30m with add-ons – but turning them down. Since that time, Romagnoli has become the captain of a Milan side which has underperformed somewhat given the resources poured into the first team, currently sitting 12th in Serie A with a game in hand over most of their rivals – although they top their Europa League group after two games. Chelsea, meanwhile, have started the season in fine form after the summer arrival of Sarri at the helm, and sit third in the table just two points behind leaders Manchester City and ​Liverpool.